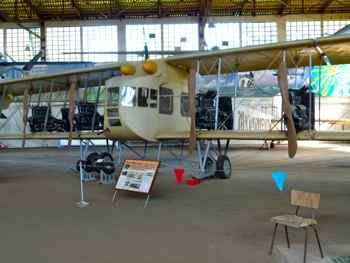 Monino is the location of the Russian Air Force Central Aviation Museum (in case you didn't get here from our Monino page.) Facts and directions will serve you well if you want to visit, but we knew you really wanted to see what kinds of planes they have. It is adjacent to the new administration building with its little museum. Most are jets and helicopters, and they are displayed outside. We'll show you those Soviet Era planes on another page, just so I can stay organized. The second hangar is on the other side of this display area. Don't miss that, there are some great vintage aircraft in there too. 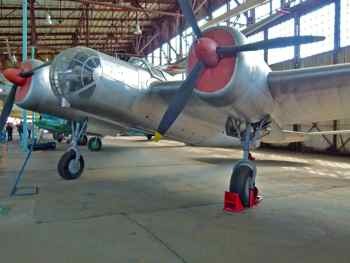 We're going to put the photos up grouped by hangar as we saw them in May, 2012. If you can manage to get there you won't be disappointed. 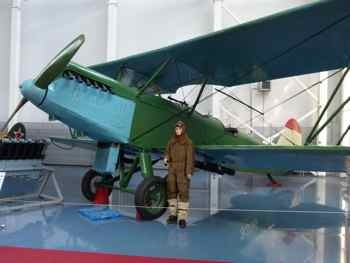 The Polikarpov R-5 was first flown in 1928. It entered production in 1930. They were used by the military, but there were also civilian versions that carried freight and passengers. They remained in service until about 1944. This reconstruction was presented to Monino in 1993. The Ilyushin Il-2 was a "ground attack aircraft"... "Sturmovik" in Russian. In 1938, Ilyushin thought designing an aircraft with armor was a good idea. I'm sure a lot of pilots thought so too. The Sturmovik was one of the most produced military aircraft in history. This particular aircraft was produced in 1942. 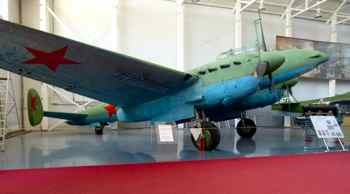 The Pe-2 was a Soviet dive bomber used during World War II. Known to NATO as Buck after WW II. In 1938 it was originally designed as a high-speed, high altitude fighter, but in 1939 a government directive ordered a conversion to a dive bomber... as such it was considered highly successful. 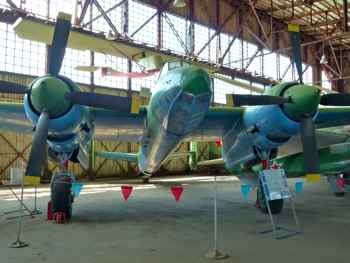 The Pe-2 here in the Russian Aviation Museum has been assembled from the remains of three planes. The Lavochkin La-7 was an improvement on the La-5 that was a mainstay of the Soviet Air Force in the Great Patriotic War. The La-7 went into production in 1944. 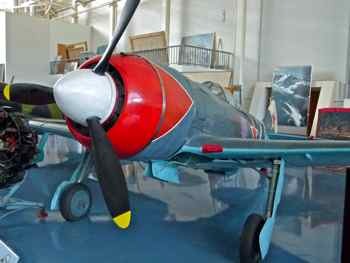 This one was flown by Russian ace N. Kozhedub at the front. Using it he is supposed to have downed 17 enemy aircraft. This is a full-scale mock-up. Igor Sikorsky had developed the world's first four-engine aircraft... it was called the "Russky Vityaz" and was built in 1913. Sikorsky himself flew it. 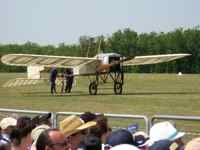 The Ilya Muromets evolved from that. It was originally intended to be a passenger aircraft. Can you imagine? ...With a "spacious" cabin and even a toilet! But it became a military bombing aircraft during World War I. After the war it was used in passenger service. 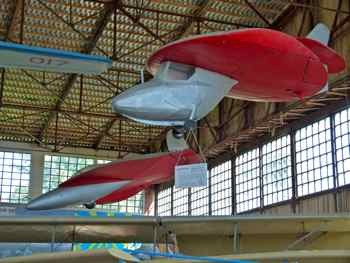 The ANT-2 was the first all metal aircraft built in Russia. 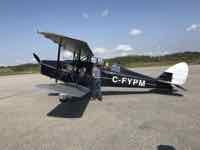 It's first flight was in 1924. 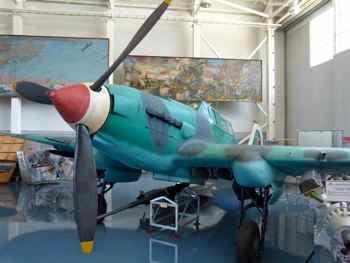 This aircraft in Monino is the original and the only one constructed. The ANT-25 (RD) was built for long distance flights. 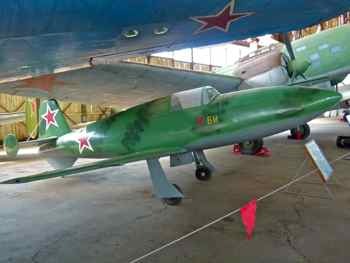 The Tupolev ANT-40 is also known as the Tupolev SB. Wondering what "SB" stands for? ...and that's what is was... a high-speed front-line bomber. First flight was 1934. Over 6000 were made. 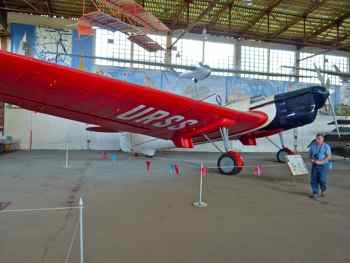 The Ilyushin DB-3 was a World War II era aircraft. The prototype was completed in 1936. This was built as a "long range bomber" - "Dalniy Bombardirovschik" in Russian... so DB-3. It eventually was morphed into an Il-4. 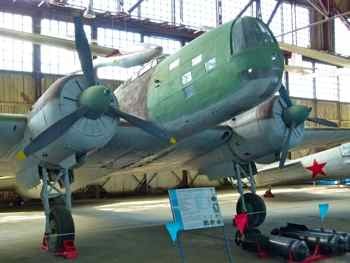 The Tupolev Tu-2 Front-Line Bomber (known to NATO as Bat) was first flown in 1941. Production started then, but was interrupted so they could produce fighters. Production resumed in 1943. This is the only Tu-2 in Russia. The Bereznyak-Isayev BI-1 new design was called "BI" for "Blizhnii Istrebitel" (close-range fighter), but the letters could also stand for its inventors: Bereznyak and Isayev. The first real test flight was made in 1942. The flight only lasted a little over 3 minutes. Seven successive prototypes were built, but it never went into production. Can't really tell you anything about these. The little booklet we bought doesn't mention them. We believe these were built by M.V. Sukhanov in 1958-1962 from German WW2 design. OK... got you wanting to go to Moscow yet? Remember, the Soviet jets and helicopters are on another page. And don't forget to read all about how we got there. 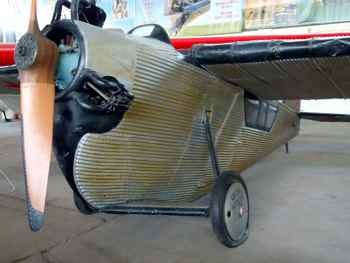 Have fun finding those antique airplanes!